Whether you’re celebrating a special occasion or are just in desperate need of some girl time, an overnight trip to Napa is the solution! I’ve created an itinerary to experience all of my Napa favorites in one day. It’s organized in an efficient way to get from one place to the next. To save on costs, catch a rideshare such as Lyft or Uber from place to place (it’s cheaper than hiring an all-day limo/bus driver). Reservations, reservations, reservations! Reserve all the tours and tastings in advance to save yourself from last-minute disappointment. Each winery has the option to reserve a tasting, and a more expensive option to reserve a tour. 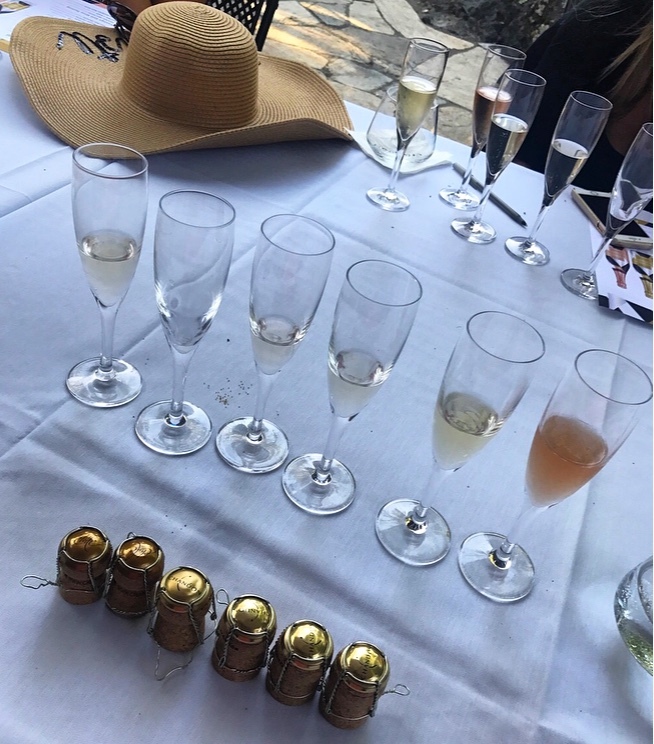 Start your day of wine tasting with a tour so that you know what you’re drinking the rest of the day, but also so you actually understand what’s being said (aka before you get tipsy). Napa can get pricey so stick with one tour on your trip and experience the tastings the rest of the day. Check into your hotel at River Terrace Inn. Drop off your bags, freshen up and start your grape day! First things first, a pic with the ‘Welcome to Napa Valley Sign’ is a must! Can we say Instagram opp? 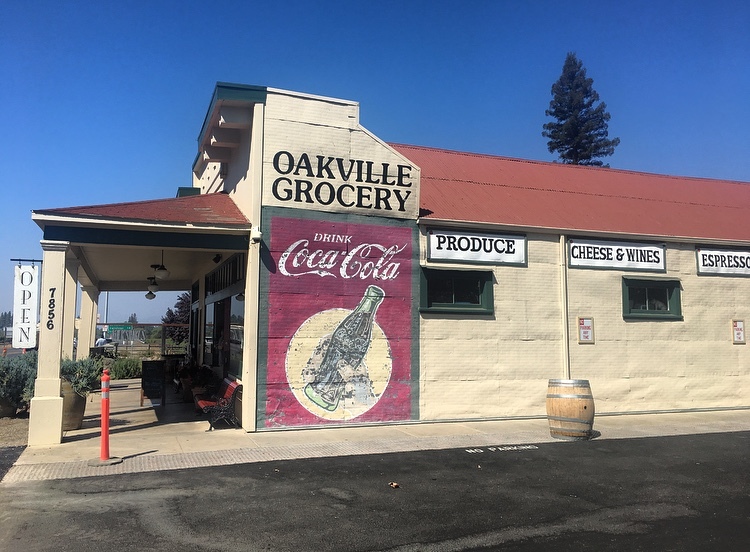 Grab a coffee and breakfast at Oakville Grocery Co. It’s been around since 1881 and is the oldest operating grocery store in California. They have some great baked goods, sandwiches, souvenirs and gems to make a perfect charcuterie board. Start with a tour of Robert Mondavi Winery. They’re known for their Cabernet Sauvignon as well as their Sauvignon Blanc. They’re great at giving a thorough explanation of the wine making process. You’ll see grapes being sorted, destemmed and pressed. Next, head to Inglenook for a heritage tasting of wines and cheeses. You’ll need to check in at the visitor center in order to be let into the gate. If you’re curious about what a chateau looks like, then this is truly the place. The estate is absolutely breathtaking (as is all of Napa) and you’re definitely going to want to take advantage of the photogenic entrance. After experiencing two sophisticated wineries, Frog’s Leap Winery is the perfect place to slip off your shoes, kick back and relax. This winery has a chill barnyard feel to it. Reserve the garden tasting to get a chance to stroll around the gardens while getting your next pour at your own leisure. Really take advantage of checking out their garden- you’ll see strawberry vines, pepper plants and chickens. By now you’re famished! V. Sattui Winery is the spot to end your vino-filled day. They’ve got a delectable marketplace stocked with ready-to-eat pastas, sandwiches, cheeses, desserts and of course, wines. The best part about eating here? You can eat it all on their outdoor picnic grounds! After tummies are full, spend some down time at River Terrace Inn in downtown Napa before hitting the town for a low-key night of live jazz or a game of billiards. Before you leave the next day, grab a bite to eat at Gott’s Roadside, right around the corner from the hotel. My personal favorites are the Texas Avocado Burger (I substituted for veggie patty), the Baja Fish Tacos, fries and don’t forget, a shake. If you’re visiting during harvest season (mid-August through October), it’s a must to partake in grape-stomping at Grgich Hills Estate. 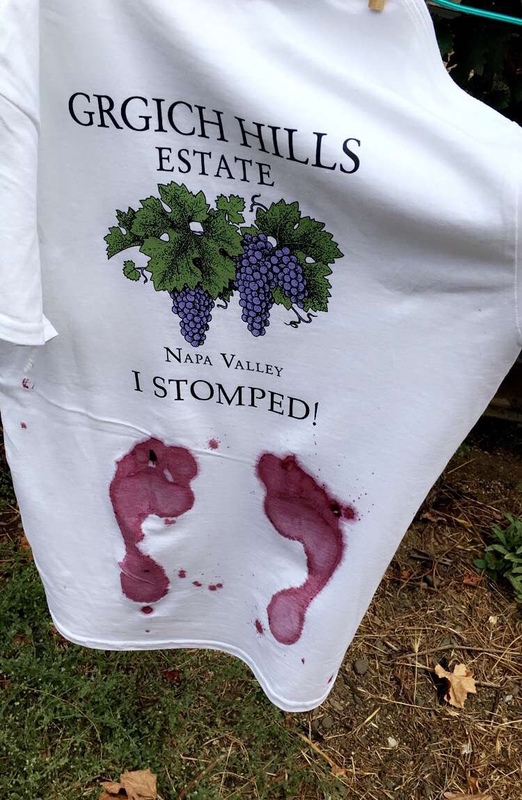 You’ll get a chance to stomp in a barrel of grapes and then imprint your wine-infused feet on a souvenir t-shirt. Go early to stomp on fresh grapes! If you plan on venturing to San Francisco while on your Napa trip (67 miles), check out my weekend in San Francisco itinerary.